An author who buried a fortune of gold coins and jewels worth $2m in the American wilderness has been asked to call off the treasure hunt he launched in 2010 after two people are believed to have died while attempting to find it. 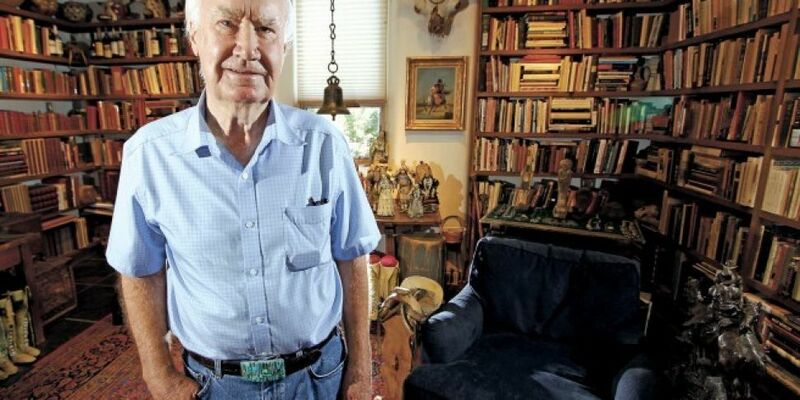 Forrest Fenn buried a casket filled with the lucrative bounty somewhere in the Rocky Mountains, leading treasure seekers to its place with a poem published in his memoir The Thrill of the Chase. But now a police chief in New Mexico is requesting the Fenn reconsider after a body recovered over the weekend was identified as Paris Wallace, a Colorado pastor who vanished while on the treasure trail along the Rio Grande. Police Chief Pete Kassetas has publicly asked Fenn to end the “nonsense” before his buried treasure claims another victim. “He’s putting lives at risk,” Kassetas told local news. In the years since the treasure hunt started, several people have found themselves in danger and required rescuing from the emergency services. Paris Wallace was reported missing by his wife Mitzi on June 14th after he failed to reappear after heading out to search for the treasure. His belongings had been left in his hotel room, leading to search parties to comb the woodland trails of the Espanola area, with Wallace’s car discovered parked beside the Rio Grande. The remains of the 52-year-old pastor were found seven miles downstream from where he was last believed to have been seen. Mitzi Wallace told reporters that despite her husband losing his life in search of the loot, she and her 19-year-old son would also head back out on its trail. Wallace is the second known victim of Forrest Fenn’s treasure hunt; Randy Bilyeu, also of Colorado, went missing while searching in January 2016. His body was finally found several months later. Bilyeu’s widow Linda is also asking Fenn to call it a day on his quest. “Another family is left to grieve and carry on without their loved ones,” she said. Writing on the website MysteriousWritings last week, Fenn, who published his poem as a way to encourage Americans to venture out into the great outdoors, issued a warning to those heading out in search of his fortune to be careful. For more world news on Newstalk.com, please click here.